Since posting Hendo's Top 5 Worst Duets of All Time, I've gotten quite a bit of feedback from people adding their suggestions to duets even worse than the ones mentioned in my original blog piece. If you would like to refresh your memory on my Top 5 Worst Duets of All Time, click here. We will wait for you to return. So, now that you're back, I am adding an additional three songs that should logically fall onto the top 5 worst duets of all time, yet this guy (that's me) loves and knows every word, every nuance, every key modulation to each of them. In other words, make sure #Hendo's your karaoke duet partner on 80s night at Winnie's. We are calling it Hendo's Top 3 Guilty Duet Pleasures List. And once again, a shout out to the 80s for making this possible. You have no right to ask me why I love this song. You have no right to act like you don't love it too. I can't go on pretending this isn't one of my favorite duets of all time. So for now we'll go on living.....separate lives. The song comes from a movie that I can't remember a thing about. Oops, I just remembered one thing about it. Barishnikov and Russia. Oops again. That's two things. Wait a minute. I just got a flickery flash of Jeff Bridges and a short haired brunette. 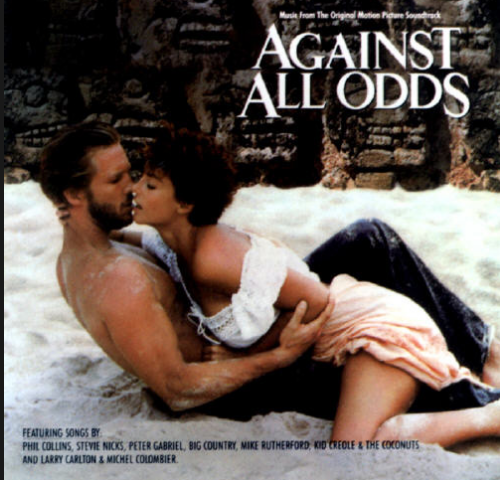 And after googling it, I realize it's a different movie with a Phil Collins song in it (Against All Odds). So it's official. I only remember two things about this movie, and one of them is not the name of it. But none of that is important. What is important is that I still quote the lyrics in moments of unabashed melodramatic-ness. Just visit my twitter feed for proof of this. The words wash over me from time to time and I am compelled to share them via social media. The song is just that good. To me. "You have no right to ask me how I feel...You have no right to speak to me so kind..."
I just love the drama in those lines and am green with envy that I didn't write them first. And who could forget the woman Phil Collins sings the duet with? Marilyn Monroe...no, Manson...Martin. Of course. Marilyn Martin. Or the name of the classic movie from which it comes from....I just googled it. wait for it, wait for it: WHITE NIGHTS! On the minus side, The sexual chemistry is pretty much non-existent. And the singing while gazing out windows on separate coasts only strengthens the speculation that Michael McDonald and Patti LaBelle have likely never even met. On the plus side, I could listen to Michael McDonald sing the Iliad...the phone book is too overused a phrase nowadays. And I certainly have a healthy respect for what Patti LaBelle can do, even if she physically attacked Aretha Franklin. Yes, I know that was a satirical article about a feud between the two singers, but once it's in print, it is fact. Isn't it? Don't know what the h*** I'm talking about? Clickety click right here. A duet between two amazingly great singers, albeit extremely random in pairing, recorded in the 80s inevitably leads to one outcome. Me loving it. In 1986, I was a camp counselor at the YMCA singing this diddy at the top of my lungs with my co-counselor Sheri. Every kid in our camp group knew the words. We would scream it from the arts and crafts tables, from atop the horses during riding lessons, from around the campfire on sleep out nights. The video, the production, every single thing about it became dated within 6 months of it's release. And. That's. Why. We. Love. It. So. Oh yes, I said WE. I assume you love it too. And if you're thinking to yourself, "Sorry Hendo, I don't love it too...."
Watch this video. Keep both eyes open and don't blink, not for one second. Then let's make our date for karaoke night. I know both parts by heart, so you tell me which side you want to sing.